We saw Manav Dawar piloting his Prophecy Deck in a Feature Match yesterday, taking a win over Madolche. He’s fresh off defeating the Reversal Quiz OTK Deck that everybody’s been talking about, and he’s looking for more! He’s facing off against Sean McCabe’s Artifact Deck. Various forms of Artifact Decks have been amongst the most popular here at the WCQ, and McCabe’s is a combination of all the best variations, using Artifacts, Traptrix, Ice Hand and Fire Hand, and Fire Fists! Dawar had The Grand Spellbook Tower, Compulsory Evacuation Device, Spellbook Magician of Prophecy, High Priestess of Prophecy, Fiendish Chain, and Spellbook of Secrets. He used Spellbook Magician to search out Spellbook Library of the Crescent. He played it, picking Spellbook of Fate, Spellbook of Eternity, and Spellbook of the Master. He ended up getting Eternity at random. He activated Secrets, adding Master to his hand. He used that to copy Secrets and get Fate. Next, he Special Summoned High Priestess in Defense Position. He activated Tower and Set his Trap Cards. McCabe played Traptrix Myrmeleo, and it was negated by Fiendish Chain. He played Pot of Duality next, taking Ice Hand over Brotherhood of the Fire Fist - Bear or Fiendish Chain. He Set three back row cards. In the End Phase, Dawar used Spellbook of Fate to banish Mystical Space Typhoon. Dawar drew High Priestess of Prophecy. With Tower, he recycled Fate to draw Bottomless Trap Hole. He activated Eternity next, taking back Secrets, and played that to get Spellbook Magician of Prophecy. That came down, and he added Spellbook of Power to his hand. He switched High Priestess to Attack Position and activated Power on her. High Priestess destroyed Myrmeleo in battle, and Dawar added Spellbook of Fate to his hand. The Spellbook Magicians attacked directly. In Main Phase 2, Dawar Xyz Summoned Gachi Gachi Gantetsu in Defense Position, then Set Fate. McCabe Set a back row card. Dawar drew Solemn Warning. He recycled Eternity with Tower, and drew another Eternity. He used Priestess’s effect, banishing Secrets, and McCabe Chained the targeted Compulsory Evacuation Device on Gachi Gachi Gantetsu. Dawar used Eternity to retrieve Secrets, adding Spellbook Magician of Prophecy to his hand, then played it for another Eternity. He attacked directly with both his monsters, then Set Warning. McCabe played Ice Hand, and it was promptly sent away by Dawar’s Compulsory Evacuation Device. McCabe Set a back row card. Dawar drew High Priestess. 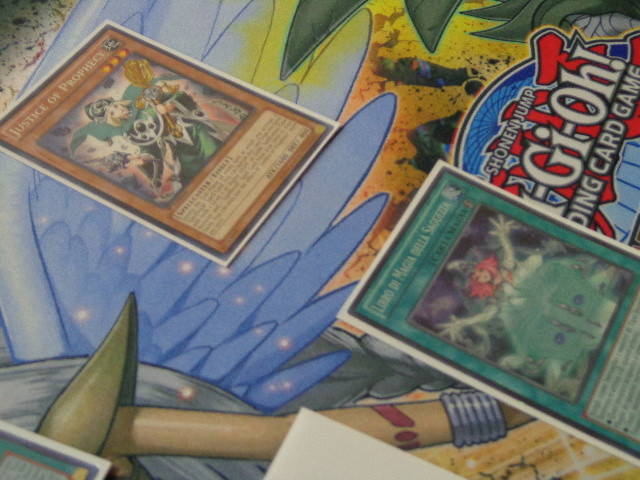 He sent Eternity back to his Deck with Tower, drawing Maxx “C”. Spellbook Magician attacked directly, but High Priestess was blocked by Fiendish Chain. McCabe had 1600 Life Points left, but Dawar had lost none. McCabe played Ice Hand yet again, and attacked Spellbook Magician of Prophecy. Dawar used Fate to turn his Magician face-down, and searched out Eternity when it flipped up again. McCabe Set one more card to his back row. Dawar drew Fiendish Chain, then recycled Fate with Tower to get Torrential Tribute. He played Eternity to get Master, then copied Eternity with Master to get Secrets. He used that to add Fate to his hand. He Set Fate, Torrential Tribute, and Fiendish Chain. McCabe Set a fifth card in his back row and put Ice Hand in Defense Position. Dawar drew Spellbook of Life, then used Tower to also draw Pot of Duality. He played Fate to turn his High Priestess face-down, freeing her of Fiendish Chain, then Flip Summoned her. He used Eternity to get back Master, then used Master to copy Eternity and retrieve Crescent. He activated Pot of Duality, revealing Justice of Prophecy, Cardcar D, and Spellbook Library of the Crescent. He quickly took Cardcar and Summoned it. Its effect gave him Master and Dark Hole. In the End Phase, he had to discard Maxx “C” due to having too many cards in his hand. McCabe flipped Soul Charge, reviving Myrmeleo. Myrmeleo’s effect destroyed Bottomless Trap Hole, then McCabe stacked Myrmeleo and Ice Hand for Number 101: Silent Honor ARK, but lost it to Solemn Warning! McCabe Set a monster. Dawar drew Spellbook of Wisdom, then used Tower to draw another High Priestess. He Special Summoned a High Priestess, and Xyz Summoned Number 11: Big Eye, losing it to Black Horn of Heaven. He Special Summoned his next High Priestess, and used her effect to destroy McCabe’s Fire Hand – it destroyed High Priestess and brought Ice Hand to the field. Dawar used Dark Hole to destroy that, and Ice Hand hit Torrential Tribute before bringing Fire Hand out. Dawar Normal Summoned Justice of Prophecy, then played Master to copy Eternity. That returned Power to his hand. Life came next, returning High Priestess to the field. Her effect traded herself with Fire Hand, and McCabe had no Ice Hand to bring in! Dawar attacked with Justice, McCabe flipped Book of Moon to block the attack, and Dawar used Spellbook of Wisdom to end the Duel! Manav Dawar takes a long first Duel! He’d been skipping on High Priestess’s effect, despite many opportunities to use it, because he’d suspected McCabe’s Set cards to be Artifacts – after the Duel, we found he was right! 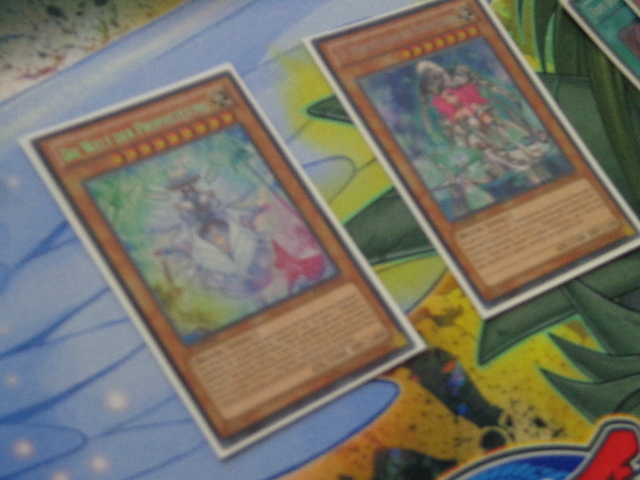 The Duelists moved to their Side Decks for the next game. McCabe began with Myrmeleo to add Bottomless Trap Hole to his hand, then he Set five cards to his back row! Dawar had Temperance of Prophecy, Trap Stun, Wisdom, Tower, High Priestess, and Power. He Set Trap Stun. Dawar drew Pot of Duality, revealing World of Prophecy, Wisdom, and Compulsory Evacuation Device. He took Wisdom. McCabe attacked with Myrmeleo again. Dawar drew Secrets! He flipped Trap Stun, then used Secrets to get Master. He played Temperance, then used Master to add Fate to his hand. He used Temperance’s effect to get World of Prophecy, and returned Secrets and Master to his hand, so he could reveal four Spellbooks and wipe the field clear! McCabe lost Bottomless Trap Hole, 2 Debunk, Fiendish Chain, and Artifact Sanctum! Dawar continued, playing Power on World so he could attack for 3900 damage. He activated Tower, then Set Fate and Wisdom. McCabe Set two to his back row, and Dawar bounced one of them away with Fate in the End Phase. Dawar drew Wisdom, and Tower gave him Eternity. He Special Summoned High Priestess, and McCabe offered the handshake! Manav Dawar is victorious with Prophecy!